No coffee for me this morning. I had to go have a lab test at 7 am, and needed to be fasting. I figured coffee would be ok--what could it affect? But I googled it, and there was some stuff out there that indicated it can affect fasting tests by activating the digestive system. I'm such a nerd. So I went and had my tests done. I had an appointment, which is a cool thing the lab has instituted lately. My appointment was at 7, and I was out of there by 7:02. There was some old guy waiting there with his wife. he asked the tech, "Can I request someone in particular to draw my blood?" She said, "Sure--who would you like"? This prompted his wife to scold him, and apologize to the tech, who took it like a pro. When I was first doing bedside care, it would upset me when someone didn't want me caring for them. I would fret about it. Eventually I figured out it wasn't about me and it stopped bothering me. I am still backing up pictures, and finished 2011 last night. 2010 is backing up now. Those were the last of the years (working backwards)that were fairly well organized. The rest of the years are scattered across a bunch of random external drives and DVDs, and will take a bit more work. 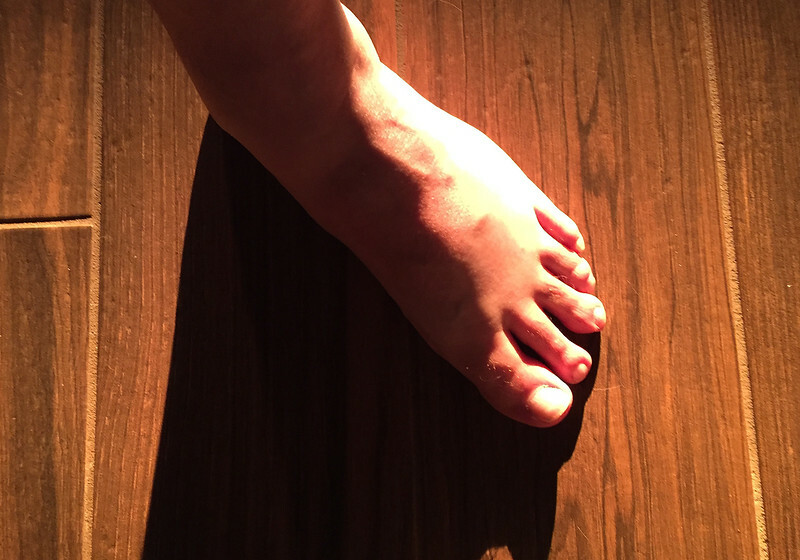 My left foot in the early evening light, which is still red. The fires are still burning everywhere, but it sounds like they are having more luck with containment. Hopefully the firefighters can get the upper hand on them. The air is still smoky here, but not as bad as the other day. 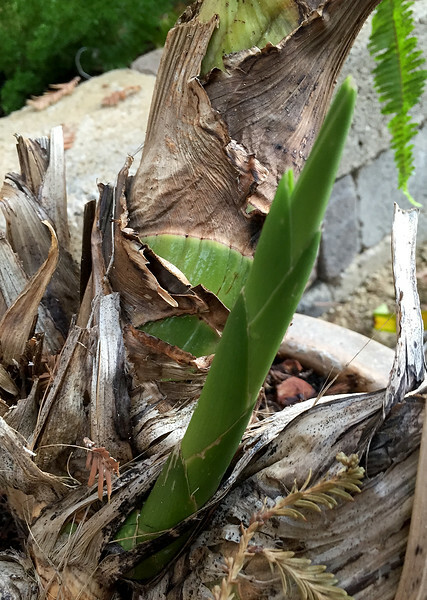 Some new growth on my old, old orchid--the one that came from my grandfather's garden. My primary gardening motivation is to keep that thing alive. The orchid guy at the farmers market has been really helpful with advice about how much sun, water, and when to feed them. So far it's working. My newer orchids all have new growth as well. Now I get to enjoy my coffee in one of my favorite mugs. It's the one that has "MURSE" printed on it. I am finishing the first of the three bags of Lao coffee I brought home with me, and wondering why I didn't fill a suitcase full of coffee to bring home. Next time!